At one point or another in your career you will or have been asked to lead change. What does it take to be a great change leader? You tell people why. Even if the current state of affairs isn’t great, it’s the one that feels comfortable. People need to be given a reason why to change. What the change is and how it will happen is good, helping me understand why is great. You ask for help. 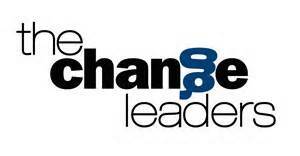 Sometimes we think of a change leader as the person charging up the hill on the white horse and making things happen. They are the ones charging up the hill. However, he or she can’t be doing it alone. Great change leaders know you can’t do it alone and they ask for the help of others. You plan well but you expect the change to change. You know that getting from here to there won’t necessarily go as planned, so you plan for unexpected twists and turns in the journey. You communicate as transparently as possible and listen constantly. Great change leaders don’t just stand in front of large groups of people and give speeches. You listen to what other people have to say. You continually talk to people in a variety of settings and ways and make sure there are ways for people to respond, share ideas, find the blind spots, highlight the successes and discuss the failures. You don’t just share information, you share a part of yourself. You balance being strong with being vulnerable. What do you think it takes to be a great change leader?